Background - Yearning for a slice of 'Happiness' Melbourne five piece Smoke Rings plug-in with a bittersweet new single from their double A side 7" Go To Hell and a string of live dates. 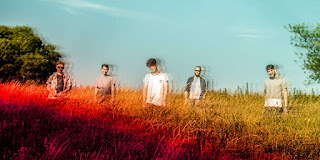 Strengthening their penchant for writing incredibly well constructed melodies, 'Happiness' sees the band once again pay homage to 90s brit-pop in three minutes and thirty three seconds of clever instrumentation and cavalier lyrics. Recorded with producer extraordinaire Malcolm Besley (City Calm Down, The Creases), the band take a sonic leap forward from their debut self titled offering while retaining their signature melancholy. FAERS - Last Of Our Kind. 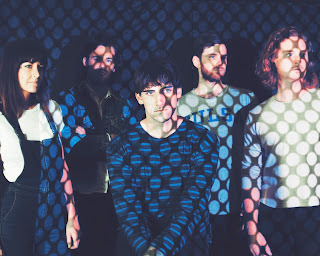 Background - FAERS’ latest single ‘Last Of Our Kind’ is a rousing reflection on the state of modern guitar music, an allegorical love story, and a clear nod to their childhood heroes The Maccabees. Written during a songwriting retreat to the welsh countryside, and recorded in Gothenburg with producer Anders Lagersford, ‘Last Of Our Kind’ is a shimmering example of the bold and brazen songwriting that inspires youngsters to pick up guitars and form bands in the first place. Steven Anderson-Howard’s rich vocals are bolstered by intensely atmospheric and colourful production as the song effortlessly mounts to a heady climax. ‘Last Of Our Kind’ is the sort of song that leaves a lasting impression in the hearts, minds, and ears of listeners long after it’s finished. It’s a clear and powerful indicator that there’s still life left in that old dog we call rock and roll. Mo Kenney - If You're Not Dead. Background - This is the year that Mo Kenney plugs in, quite literally. Known for her smooth vocals and fearless lyrics, the Canadian singer is back with her new album The Details, on September 29th, 2017. Mo has released two records with long-time producer and Canadian rock mentor Joel Plaskett since 2012. 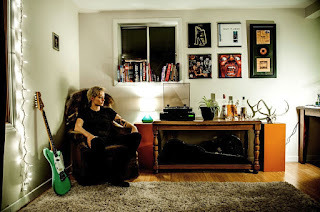 With her third album, Mo comes fully and completely into her own as an artist; she swaps her trademark acoustic guitar for a Fender Mustang, tracing her own strange, devastating, and ultimately hopeful trip through the trials and tribulations of booze-fuelled breakdowns, clouds of depression, and disintegrating relationships. Lauran Hibberd - Old Head Young Shoulders. 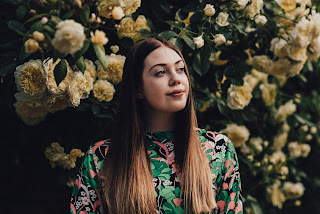 Background - Lauran Hibberd’s low-key, beautifully arranged nu-folk single “Old Head Young Shoulders” seems to drift through eardrums and straight into the listeners’ souls. Innocent, soft and with more than a breeze of fresh air around it, it will warmly appeal to the fans of Lucy Rose, Laura Marling or Billie Marten. In ‘Old Head Young Shoulders’, this Isle of Wight based singer/songwriter manages to convey wisdom and talent well beyond her tender years. At just 19, Lauran is beautifully skewing her love of literature with her ethereal vocal and delicate guitar style. If The Guardian’s Kitty Empire named Ben Howard ‘a surfing troubadour high on a new wave’, we’d like to hail Lauran Hibberd ‘a truthful spirit high on a low key nu-folk wave’. Why? With the hope this will encourage you to hear this 2:51min sonic window into this genuine teenage girl’s existence. The Sinking Feeling - One (EP). Background - The Sinking Feeling is testament to the fact that you can take crushing self-doubts and turn them into something else. With three totally unique personalities and backgrounds, the band converge on subjects of depression and loss. Each with their own trials, each member contributing to the unique dynamic that is proof that there is beauty and worth in every tribulation. Hailing from Glasgow (Scotland), the band has already put out four quality releases including a split tape with Nai Harvest. Their own brand of emo punk music has won them fans across the UK and a strong cult following in Glasgow. Sauropod - By The Tree. 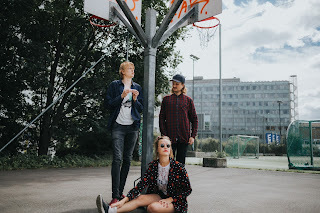 Background - Sauropod, Norwegian garage-punk trio made up of – Jonas Røyeng (guitar, vocals), Kamillia Waal Larsen (bass, vocals) and Jørgen Natland Apeness (drums) have announced their signing to Propeller Recordings with the release of explosive new single ‘By The Tree’. With an aggressive intensity and simultaneous pop sensibility, the Oslo based trio are a force to be reckoned with both live and on record. "Jump on the rocket / stomp on the day” Jonas yelps as the song bursts into life, to a backdrop of pummelling drum work and rolling bass lines - the song then shifts into a more melodic, but equally as untameable assault of punk instrumentation. Diamond Thug - Cosmic Dreamer. Background - In 2016 the South African band, Diamond Thug, recorded their debut EP with the help of Dave Minehan (The Replacements) and released it to waves of support, Indie Shuffle calling it ‘…a joy to listen to’. 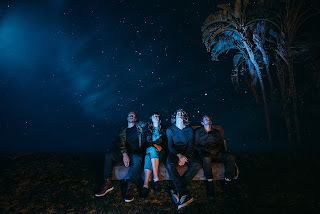 After significant support at Spotify where they have now had several million plays on just one single, and in their home country, Diamond Thug have introduced their music internationally with their last single ‘Eclipsed’. And more comes in the form of their next single ‘Cosmic Dreamer’, and it doesn’t disappoint. The track is available from August 4th via Phonofile.